Yesterday my colleague was looking stressful. I asked him, “What happened?“, he said, “My son told me there will a re-exam for Economics paper“. I had heard of Economics paper for CBSE XIIth being held again. But later I saw CBSE Xth Math paper too was going to be held again. 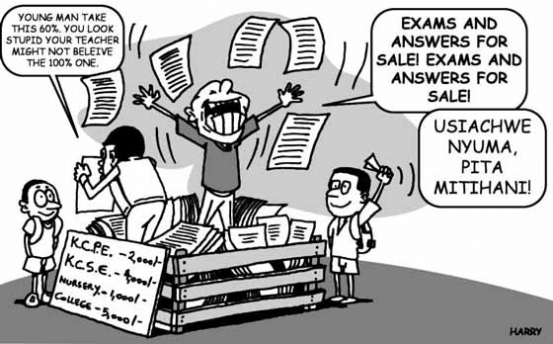 A total of 2.2 million students of Xth & XIIth will have to take these re-exams. After the conclusion of exams, it is very difficult to get children back into the frame of studying all over again. I wonder what the scene would be in a family if they had two kids in CBSE Xth and XIIth. Actually, I don’t even want to know about it, it is scary, it is depressing. The alleged mastermind of the paper leak has been held. It is not correct to ruin the peace of lakhs of families for any amount of money, but he did this for just Rs 10,000?And as expected the paper was leaked over, what else, WhatsApp. This year, Prime Minister Narendra Modi authored a book “Exam Warriors” which talks about reducing stress during exam time. No wonder he is upset about this paper leak as the leak + re-exam has increased the stress for students and their families. The CBSE Board has said they will conduct re-exams for the two subjects. I still believe the government will come out with a solution to reduce the burden on the students. The family has to play a big role in managing the child. They could be irritated, stressed, throwing tantrums. Tolerate all of it (only till the re-exam!). For those who are not having a re-exam, please don’t post your vacation photos on social media. It doesn’t help the affected ones. For those who are not having a re-exam, don’t tell others about your preparation for other competitive exams. The affected ones are not fortunate enough to focus on these competitive exams. Many families had planned for a vacation, starting soon after the Board exams. Airlines, railways, hotels must allow them to cancel, change the plans without any penalty. This doesn’t change things but the affected ones must know the entire nation is sympathetic to their situation. If the govt punished the guilty severely and took long-term corrective measures, it will at least ensure that future generations wouldn’t have to suffer through this torture. Why aren’t these students punished? I have my personal experience with leaked papers and re-exams. This happened during my 2nd PUC (XIIth) days in Bengaluru. This Board exam is crucial to every student (+family). This defines our career path. Our Chemistry paper had leaked a day before the exam. However, the Chemistry exam was held. Next, the Math paper too had leaked. Again, the Math exam too was held. Then the government announced the re-exam for Math (but surprisingly, not Chemistry). We were upset and it was sheer torture to study all over again. The Karnataka Government was not satisfied even with the re-exam. They announced the creation of the now famous CET (Common Entrance Test) and for our batch, they made it the only criterion for admissions – all our hard work until then was for nothing! Within a week of the announcement of CET, tutorial classes for CET sprung up all over the city. My friends and I came out OK through this ordeal but we still get shudders when we think back to those days. I must give full credit to the Karnataka government of that time to have conducted the CET in such a short time and in a very professional manner. On another topic, every year students in Karnataka go through a tough time during admissions to Engineering and Medical Colleges. Every year the management of these colleges and the Government have a tussle about seat sharing. This repeats every year without fail. The court needs to put an end to this uncertainty which we all have to go through every year. The media is projecting as though an exam paper leak has happened for the first time. Not true. 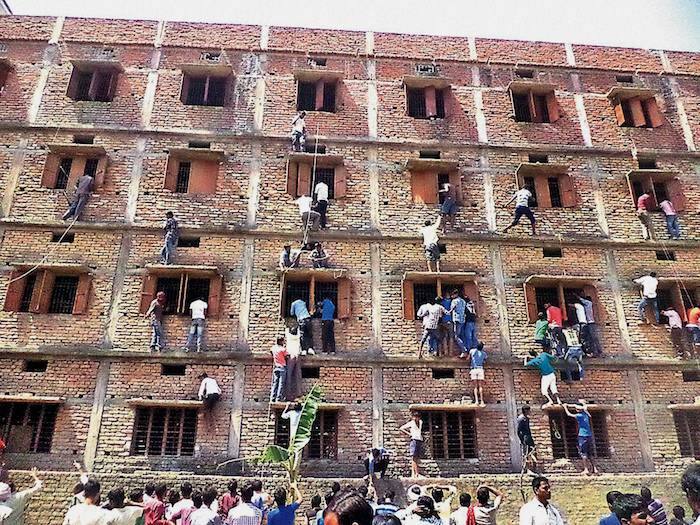 Exam paper leaks have been happening for decades. Paper leaks have happened at the Center and in many states under the governments of all political parties. Digital media, social media, TV has been amplifying this a lot more. In a way this is good because all educational Boards (Center and in each State) will be on their toes. But the media giving a different narrative about the leak is wrong. Students should stay away from any violent demonstrations. Political parties will try to make use of these situations, kids could get hurt in these demonstrations. Let the student wings of the political parties fight it out, please focus on your re-exam for now. Board exams in India are done, how to engage the kids? How does the CBSE Board frame papers?